Perl Wen is an organic semi-soft cheese made from pasteurised cow’s milk by the Caws Cenarth dairy in West Wales (‘caws’ being Welsh for cheese). Like so many other artisan British cheese-makers, Caws Cenarth started production in the eighties. Gwynfor and Thelma Adams had lived at Glyneithinog Farm since the 1960s but when the EU milk quotas took effect in the mid eighties – effectively capping the amount of milk a farmer could sell – they decided to turn some of their surplus milk into cheese in an effort to diversify. Fortunately both came from families with a long tradition of making cheese and, in particular, farmhouse Caerfilli and before long, production outgrew the kitchen table and the business went from strength to strength. Thelma is credited with being one of the pioneers of the new wave of Welsh farmhouse cheese-making. Still a family affair, Caws Cenarth is now run by their son Carwyn. It was Carwyn who attended a cheese-making course and realised that they could make other types of cheeses besides Caerfilli. A new range was born and, amongst it, in 2000, came Perl Wen. 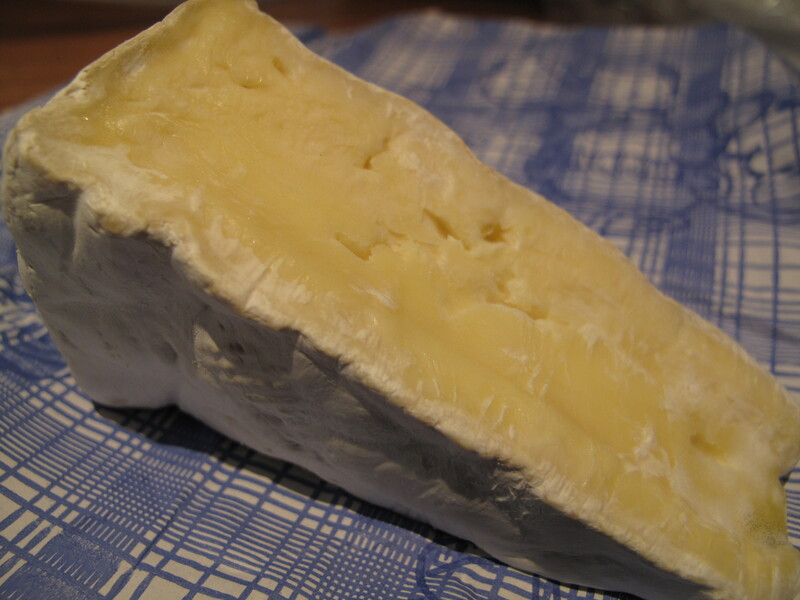 The name means ‘White Pearl’ and refers to the bloomy white rind that covers the cheese. Pong’s ‘lovechild’ moniker comes from the fact that the cheese is made to the family’s Caerfilli base recipe but is then mould-ripened like a Brie for seven weeks. 🙂 Thank goodness for Google Translate! Not sure I can track that cheese down here, but what a great history lesson, thanks! And Caws Hapus Dydd Gwener to you too! As always I enjoy my cheese lesson! Any chance of getting some of this cheese in brazil? Great story behind this cheese! Thank you. Hmm, not sure about cheese-mongering in Brazil to be honest! But glad you enjoyed it. Yum, yum, yum, love Pong!